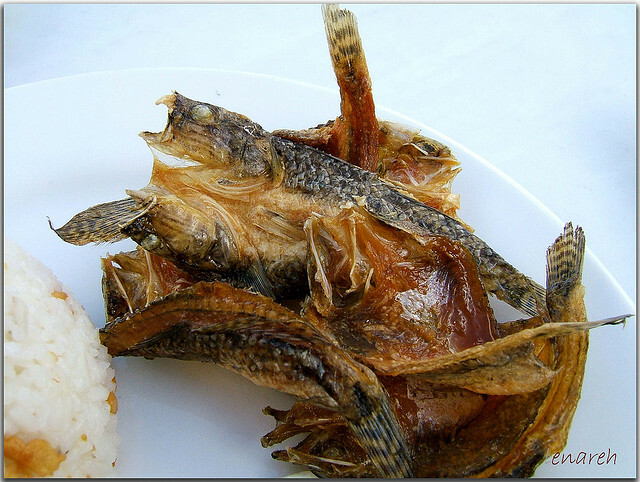 If you happen to be in Calapan, try to taste their delicacy the crispy and delicious ...dried biya. Dried Biya are products from fresh goby under the family specie of "gobidae". It can be found in Naujan Lake, the only habitat of fresh water goby. 1 Heat the oil in a wok and fry the fish for 1 minute on either side or until light golden brown and crispy. Remove from the oil with a slotted spoon and drain on paper towels. Note: Dried biya fish is available from Asian specialty stores. It is also delicious deep-fried and eaten on its own with a refreshing vinegar dip or served as a topping on stir-fried vegetables.